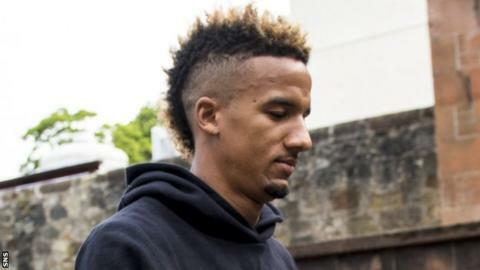 Celtic have completed the signing of Aston Villa winger Scott Sinclair on a four-year contract. The 27-year-old had a medical on Saturday and could go straight into the squad for the champions' Scottish Premiership opener at Hearts on Sunday. Sinclair previously worked with Celtic boss Brendan Rodgers at Swansea, where he says "I played my best football". "It feels amazing to have joined Celtic," the winger said. "It's a massive club and I'm happy to be here." After Sunday's opener at Hearts, Celtic have a League Cup meeting with Motherwell on Wednesday, a friendly against Inter Milan in Ireland next Saturday, followed by the first leg of their Champions League play-off round against Israel's Hapoel Beer Sheva on Wednesday, 17 August. With Patrick Roberts facing up to three weeks out with a hamstring problem and fellow winger Gary Mackay-Steven still recovering from an ankle operation, Sinclair is likely to be involved straightaway. "I can't wait to get on the pitch. When I went back to Aston Villa for pre-season, I heard Celtic were interested and I just knew I had to come here," he told the Celtic website. "I had to look at this move and I thought it would be great for me. And because I know the manager and I know what to expect, hopefully I can get off to a flying start. Sinclair and Rodgers have worked together twice - at Chelsea and Swansea City. "I had him in at Chelsea when he was 16 years of age. I know him probably as well as anyone and I know his qualities," Rodgers said on Friday.